This morning, my friend Gerry sent me a testimony he wrote about a dear friend who suddenly passed away. Through the email I could sense the sting that he is feeling- the kind of shock that sends you reeling and leaves you disoriented and confused. I remembered that same feeling one evening when I opened a letter from my sister. When I tore open the envelope, a newspaper clipping fluttered to the floor. I picked it up, expecting to read some cheery news about one of my nephews. Instead, I found the obituary for my closest childhood friend. The winter I was in first grade, I moved from the parochial school in nearby Three Rivers, to the public school in my home town. This was done because I spent the first half of the year standing in the corner, rapping my own knuckles with a ruler as penance for horrible sins only a six-year-old can commit, such as spelling my name wrong, or arriving past the second bell when the bus was late. The months between that September and December were filled with fearful tears and the few memories I have of those days are shrouded in lonely darkness. First grade in public school was very different from St. Anne’s. The classrooms were bright and sunny. My teacher was Mrs. Cassidy, a petite lady who wore flowered dresses and corrected me with a gentle smile. At St. Anne’s, I had been taught to write in cursive, using the Palmer method. Mrs. Cassidy showed me how to print rounded letters between the wide lines on special penmanship paper. It was fun, like artwork, and when I was finished, I decorated the margins with small sketches of puppies and tulips. How Sr. Lucien would have cringed! Under Mrs. Cassidy’s guidance, I learned to add and subtract, to read and to sing songs about April showers and the grand old flag. My Monday morning stomach aches were replaced by enthusiasm, and I finally relaxed enough to begin making friends with some of the other children. One of those children was Linda. She was delicate and blonde and reminded me of a spring lamb. She wore a red and black cowgirl outfit, complete with boots and fringed shirt to school, and her lunch box was shaped like a barn. Linda invited me to her sixth birthday party and on a beautiful May afternoon, I gathered at her house with other little girls in pastel dresses to eat cake and play “Pin the Tail on the Donkey.” I still remember my party favor- a string of amber beads to wear around my neck. They were translucent and glistened in the sunlight and to me they were as precious as diamonds. But more precious was my friendship with Linda. Despite her fragile stature, Linda was daring and adventurous. She and I would spend overnights at her house, rise early in the morning and armed with chocolate covered graham crackers, explore the woods behind her house. We swam in the icy waters of her brook during the summers and slid down her snow covered hill in the winter. We sang songs to each other over walkie-talkies, earned 4-H badges by planting Mother’s Day seeds in paper cups and shot BBs at each other’s feet. As teenagers, we rode a motor scooter through nearby pastures, daringly cutting the headlight in the dark, as if to look danger in the eye and tempt fate in a wicked game of roulette. We whispered about boys and borrowed each other’s clothes, and smoked cigarettes in the school bathrooms. And through the years, we watched the clear night skies for shooting stars. After high school I went away to college. Linda did not. Our paths didn’t cross again until many years later, when I was in the early months of my first pregnancy. She arrived at my house, her baby boy- Micah- happily packed on her back. 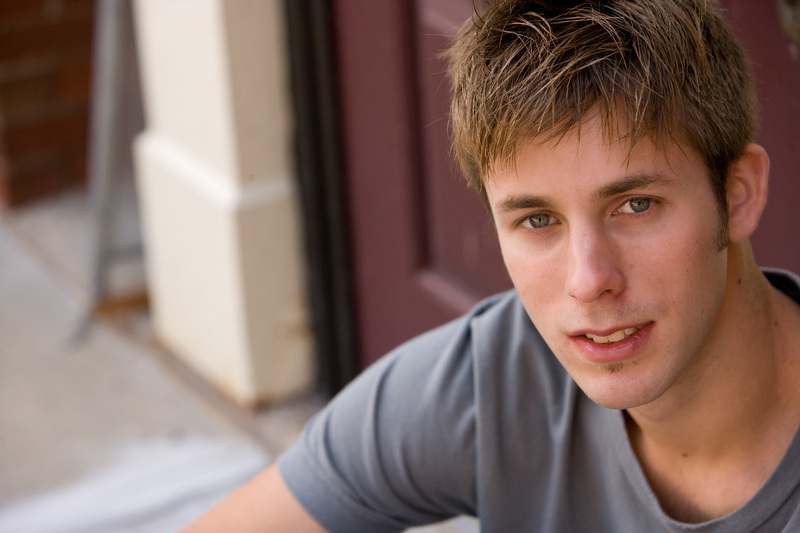 He reminded me of her as a child with his elfin eyes and wispy blond hair. We excitedly caught up on each other’s lives and went for a walk. When we returned, I started to bleed and within a few days, the baby was gone and I was left in a quiet house with empty arms. Buried in my own grief, I mourned for weeks. Months turned to years, and somehow, Linda and I lost touch, never to see each other again. Linda’s memorial service was much like she was- free, open and non-traditional. Her friends and family spoke fondly of her sense of adventure and her zeal for life. We all agreed our lives were brighter and happier for having known her and then with a tear and a hug, we went again in our separate ways. I will always carry the regret of not being there while she was sick, of not standing with her in the dark days, of not saying goodbye. People’s lives are much like the shooting stars Linda and I sought. Some do a long, slow swan dive, leaving trails of red fire so bright that we can still see them long after their lights have burned out. Others, like Linda, dance so quickly across the night sky that if we look away for an instant we’ll miss them. Life is short. Take a little time, look up a falling star and say hello, before it’s too late. 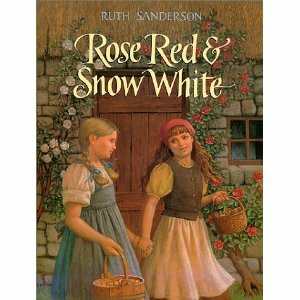 There is an old Grimm Brothers fairy tale about two sisters- Snow White and Rose Red. When my older sister Martha-Jean and I were young, my mother told us that we were like the sisters in the story. Martha-Jean was long, lean and willowy, with darker skin and dark curly hair. I was shorter and curvy, with fair skin and straight blond hair. She was brave, competitive and athletic. She climbed trees, skimmed over the ice in boys’ hockey skates, and could hit a softball out of the field across the street. I got dizzy when I looked down from a tree’s lowest limb, tripped over my figure skates’ toe picks, and got nauseated when it was my time at bat. Martha-Jean was my security. I followed her lead and trusted her to watch out for me, and wanted to be just like her. When she was in fourth grade and I in first, she hid me in the “big girls” section of St. Anne’s playground because I cried without her. When we did the dishes, she washed and I dried. When we cooked dinner for the family, she made the entrée. I made dessert. When we played Tarzan down by the river, she was Tarzan. I was Jane. I wanted to be like my big sister so badly that I once ate a handful of dirt from the front yard in order to prove to her that I was worthy to join the neighborhood club “Cowboys of America”. I choked down the acid soil and then wondered why the older girls were not impressed that I had sworn my allegiance to them. Still, I idolized Martha-Jean. One evening when were setting the table for dinner, I noticed her budding breasts underneath her sweater. I ran to our bedroom and stuffed tissues into my shirt, sure my disguise would fool everyone into thinking I had miraculously matured in a matter of hours. I got a scornful look from my mother and my sister, mortified, told me in no uncertain terms that she was not stuffing her shirt and to please get away from her. Somewhere along the way, I realized that Martha-Jean had her own path to follow and so did I. I stopped trying to imitate her and found my own footing. As adults, our differences are no less obvious than when we were kids. She has a huge family- I have three kids. She lives in a large country farmhouse and I have an apartment in the city. She grows amazing flowers and plants. I have one peace lily that I regularly bring to the brink of death by forgetting to water it. She is still tall and willowy. I am still not. My eyes filled with tears. My older sister is proud of me. Me. The one who got into trouble when we visited the little girl who lived across the street because I was too loud and boisterous. The one who couldn’t run as fast, or keep up on her bike, or gracefully dance with our father. The one who cried too easily and got too nervous to try out for the high school basketball team, and needed her big sister pulled out of the fourth grade because I wouldn’t stop crying. She’s proud of me. Snow White and Rose Red weren’t jealous of each other. They didn’t try to be like each other. They knew that differences between people add balance and symmetry to life. They protected each other. They helped each other. They served each other. Most of all, they loved each other. Perhaps it is time to reread the story. Saturday morning while I was having my coffee, I sat in my bed and surfed the television channels. There were the usual infomercials for weight loss and cleaning products, but something different caught my eye. On the screen were young babies “reading” from flash cards. The product, of course, was a program designed to teach your child to read before reaching the age of one year. Certainly, the little moppets look adorable as they demonstrate their ability to recognize a combination of letters, and perform the obligatory trick that accompanies it. What parent would not shower copious accolades upon a nine-month old who recognizes the card that spells “up” and lifts her pudgy hands into the air? The baby obviously loves an audience. Mom and Dad proudly have her perform at parties to the amazement of their friends and family. Everyone’s happy. I however, am of the opinion that this is not exactly reading in the sense of decoding words. It is sight recognition. Dolphins do it. And I have to wonder if we are really doing a baby any favor by trying to turn him into an amazing performing wunderkind before he reaches his first birthday. Besides, why does a baby need to read, anyway? 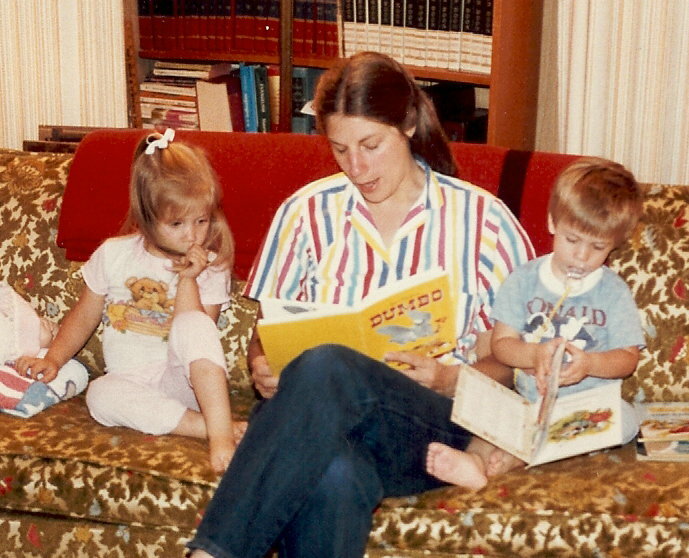 Some of my favorite memories are of my mother reading to me. She would sit on a double bed and all eight of us would nestle around her. We held our breath through the adventures of the Red Cross Knight, walked the yellow brick road with Dorothy, and mourned the loss of Kay with Gerda, from “The Snow Queen.” Long after I could read alone, I still loved the sound of my mother’s voice as it transported an adventure from the page to my imagination. On rare occasions, my father would take his turn at reading aloud. To this day, whenever I read poems by Robert Louis Stevenson, the scent of Dad’s starched white shirts and the timbre of his tenor voice again carry me to the sea. We started reading to my children long before they were old enough to walk. They would crawl to an open lap, a tattered book in tow, begging for a story. Books became the catalysts for great dramatic performances. We would sniff pictures of flowers, take imaginary bites from apples and pretend to be stung by bees. Each character was given a different voice and accent. We created melodies for lyrical verses, clapping and singing until we were hoarse. The Pokey Little Puppy and the Little Engine that Could became family members who visited several times a day. Our children, like most others, eventually learned to read independently. Still, they loved it when we read to them. Like baby birds in a nest, they found safety and security while snuggling close together, shutting their eyes and allowing their parents to weave an intricate path through their minds’ eyes. They loved to cuddle on the couch and listen to “St. George and the Dragon,” “The Adventures of Robin Hood” and “White Fang.” Stories such as these sparked their imaginations. They made crowns and swords out of cardboard and fought unseen dragons. They camped under blanket forts in the living room and flew to the moon in laundry basket spaceships. Nobody had to suggest imaginative play – they were inspired solely by the words read to them by the people who loved them most. It didn’t matter how well we read, or how accurate our translations were. I can still hear Gabriel’s peals of laughter when I read “Stop, Angus, stop!” with a ridiculous attempt at a Scottish burr, and it didn’t faze Elizabeth that every time we sang a verse of “Jittery Jonah” the melody changed. I didn’t realize how impacted the children were by us reading to them until they were teenagers. One snowy winter night, the power went out, leaving our home dark and cold. Abby and Elizabeth huddled together under a blanket to keep warm, a kerosene lantern by the couch. I could hear their voices punctuated by giggles from the front steps, where I was trying to heat soup over a propane burner. When I entered the house, I realized they were reading “Hamlet” aloud, assigning different voices and accents to each character. It was a dramatic performance that would have made Shakespeare himself belly laugh. While I listened from the kitchen, the kerosene lamp glowed a little brighter, the room a little warmer. In the end, teaching your tyke to read is probably not harmful at all. I think its real value is in the one-on-one time spent between the baby and the parent. But for my money, the time is better spent scooping your baby up in your arms, hugging him close and diving into the story together. He may not wow people at your next party, but sharing the adventure of the story will be worth it all.